I remember the first VoIP implementations over shared Internet didn’t work so well. Everything was fine until a colleague hit YouTube. Edgewater Networks was part of the solution back then – they figured out that the bottleneck was primarily the access connection to the Internet, so they implemented a way of prioritizing voice there. It is a common practice now, but back then it was met with skepticism, what’s the point of prioritization on the first link only? Almost 10 years later, Edgewater is still solving QoS issues and a whole lot more. 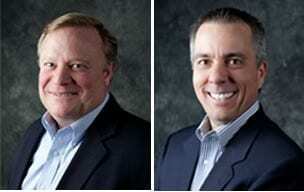 I had a chance to visit with its CEO Dave Norman and VP of Marketing Dave Martin – The Daves. Prior to founding Edgewater Networks, Mr. Norman worked as an independent consultant and private investor to technology start-ups. He created and implemented the international strategy for First Virtual Communications where he built the company’s international presence in Asia, Europe and Latin America through a highly leveraged virtual corporation model. Mr. Norman was founder of Businessland Japan, a Tokyo-based network integration company. Businessland Japan was a joint venture between Businessland, Inc., Softbank Corp., Fujitsu, Toshiba, Canon and Sony. Mr. Norman holds a B.S. in Electrical and Computer Engineering from University California Santa Barbara where he also studied Japanese. Dave Martin currently serves as Vice President of Marketing responsible for strategic business planning, product marketing, partnerships and marketing programs. Prior to joining Edgewater Mr. Martin has held technical and managerial positions at several networking and security companies including Andes Networks, Nokia, Ipsilon Networks and Newbridge Networks. Mr. Martin holds a US Patent regarding a method for the measurement of latency in an IP network using intermediate devices. DM: How did Edgewater come to be – and how did you end in your current role? DNorman: I had worked for two companies that had successful IPOs (First Virtual Communications and Cornerstone Imaging) and was consulting for and investing in several tech start-ups. It became clear that the convergence of voice, video and data on a common network infrastructure was happening and there were a number of real problems that were not being addressed by existing solutions. I viewed this as a fantastic opportunity to create a new company. This was around the same time that 9/11 happened and I did what many Americans did during this period and re-assessed many elements of my life. I decided that I wanted to work with my father – a serial entrepreneur and investor – and tackle a challenge together. At that time, the dot com crash had destroyed many companies, both bad and good, so there were some real gems that had been abandoned when the financing dried up. We found a service provider, Telverse Communications, that had developed technology for VoIP security, setup and monitoring. The technology was critical to their business, but it wasn’t within the core competency of their company. So, we acquired the technology and developed it into a standalone company – Edgewater Networks. DMartin: I had worked with Dave Norman at Andes Networks and he asked me to join his new venture. DM: Edgewater fills some gaps that are created by immature standards and vendor interoperability limitations. Doesn’t that put you in the cheering section for incompatibilities? DNorman: Not at all. My belief is that while interoperability is the number one pain point now, this problem will be solved over time. There are many other problems that ESBCs solve, and that is why the market has been growing so quickly. DMartin: One example is security. As VoIP and videoconferencing grow, companies need to have a gatekeeping process to determine which users are allowed access to their corporate network. While traditional firewalls are great for corporate data, they don’t perform well for these real-time communications. To give you a sense of the risk, one customer of ours had their videoconferencing bridge compromised by outsiders that launched a series of call requests to obtain access. The outsiders were able to exploit the bridge to access the PSTN and make international voice calls that amounted to $10,000’s in fraudulent calls. The financial liability would have been much larger had the exploit not been discovered as quickly. We implemented a simple rule via in our ESBC that eliminated the threat. DM: Why do we still have SIP interoperability issues? What needs to happen for them to go away? Will they go away? DMartin: SIP is a great framework, but even after years of implementation, it is still interpreted differently. For example, popular cloud services such as SIP trunking often do not work out of the box because they are incompatible with the PBX connected to the service. I believe that these challenges will be worked out over time, but enterprises can help the process by demanding collaboration between their UC vendors. DM: How does prioritizing traffic as it leaves the private network to the public Internet help, when the majority of the journey over the public Internet is not prioritized? DNorman: The explosion in cloud services shows that enterprises are comfortable with Internet based delivery for critical services. While the Internet core and enterprise LANs are typically over-provisioned, it’s the access links between these networks where the bottlenecks become problematic. My belief is that business-class service over the Internet can be best achieved by focusing on the access link. The good news is that IP has great QoS mechanisms, like DiffServ, that is especially useful for real-time applications. DM: More and more intelligence is moving to the network edge – how does Edgewater get into things like dial plans? DMartin: ESBCs are protocol aware, so they can implement routing both independent of the core network or in concert with the core network. For example, we can implement a local dial plan that’s only used when the core network element is inaccessible (survivability) or we can operate in a standalone fashion. This feature is used today in hosted PBX applications and the end-user benefit is that they have some level of service when access to the core network is down. DM: Where does Edgewater make most of its money today and how will that change over the next five years? DNorman: Over the past ten years, we’ve been focused on the service provider market and providing a solution for them to deploy to their enterprise customers. In many cases, we’re white labeled behind the service provider logo. This go-to-market strategy has worked well, as most enterprises have traditionally deployed the ESBC equipment provided to them by their service provider. However, we’re currently seeing a trend that is changing this model. Enterprises are realizing the business-critical nature of their real-time IP communications and are now seeking to take greater control by deploying their own ESBCs independent of their service providers. Over the next five years, we expect this trend to accelerate and comprise a growing share of our business. DM: Are the gateway, firewall, SBC, and router vendors all turning into a single industry? DNorman: I believe this market is ultimately about security. You probably could have asked this same question 15 years ago about firewalls were in their infancy. The simple fact is that companies will never be done with security. As soon as you have plugged one hole, another one surfaces. DMartin: We’ve found that enterprises today value specialization over a single integrated device. That makes sense, as a one size fits all is unlikely to work for most enterprises. The SBC vendors understand this and have developed their systems to fit in well and not rock the boat with an enterprises’ existing infrastructure. DM: What characteristics, and why, should end users consider the most in an SBC? DMartin: The most important function is interoperability. After that, the ability to apply security policy to real-time applications. For over 100 years, telephone communications have been based on private, dedicated networks operated by the leading service provider companies. These “walled gardens” have generally been considered trusted networks even though there are ways to comprise these communications. But, as businesses migrate away from traditional PSTN telephony toward IP based telephony, new security concerns surface. Everything from toll fraud to denial of service attacks to voice spam or “SPIT” (spam over Internet Telephony) to eavesdropping. Many of these concerns were never significant with the traditional PSTN infrastructure. It really is a mindset change where people don’t think about the telephone as being an insecure device so there is typically not enough scrutiny placed on IP-based communications. DM: How does BYOD impact Edgewater’s product plans? DNorman: Our products currently support most mobile devices and we anticipate substantial growth in both the number and types of devices being used for unified communications. A key value we provide is giving IT the tools needed to identify and authenticate devices and users as well as resolving remote NAT traversal problems. DMartin: I’ve been using my iPad to conduct ad hoc video calls with other employees via a Polycom app. It’s easy and it’s with me at all times. The productivity benefits of this capability are just now being realized. Edgewater Networks can be seen at various industry events including the NEC Advantage and ITExpo conferences and the upcoming channel events BroadSoft Connections and MetaSwitch Forum.